The proposed improvements to the Northeast Corridor will lead to significant economic and social benefits throughout the Northeast Corridor region as a result of both immediate investments in transportation infrastructure as well as long- term, comprehensive benefits to the region’s economic productivity. In their recently updated report, Economic Impact of Public Transportation Investment (the “APTA Report”), the American Public Transportation Association has quantified the benefits of public transportation investments in terms of increased economic production. 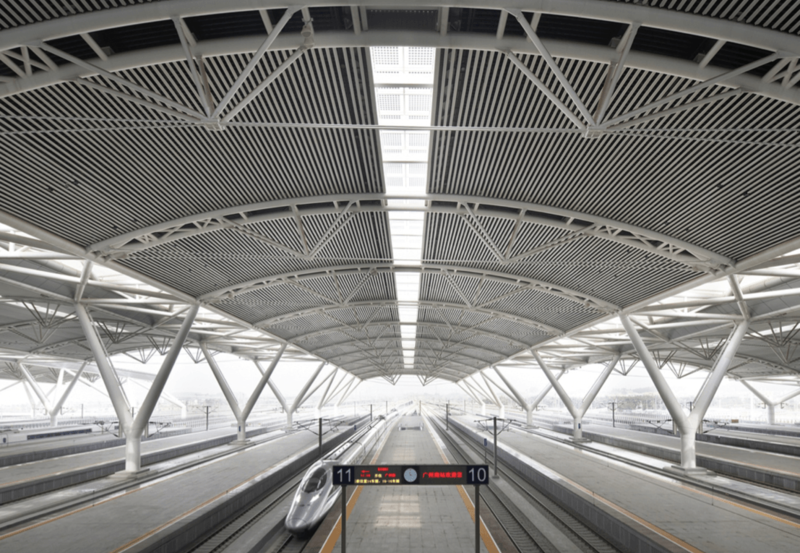 Among its findings, APTA determined that $1 billion in sustained annual investment in transportation infrastructure projects over 20 years results in more than $3.7 billion per year of additional GDP production. In terms of direct benefits, the APTA Report concluded that every $1 billion in investment results in $1.7 billion in economic productivity, which in turn results in the creation of over 21,000 annualized jobs over 20 years. In addition to direct economic benefits, the APTA Report also identified a number of sources of long-term cost savings for individuals as well as businesses as a result of investments in transportation infrastructure. For instance, by reducing the numbers of cars on the road, public transportation enhancements may reduce delay and increase reliability for all highway users including car, truck, and public transportation drivers and passengers, which would in turn lower overall transportation costs for these beneficiaries. In addition, with sufficient investment, improved public transportation options may allow more households to reduce multiple-car ownership. 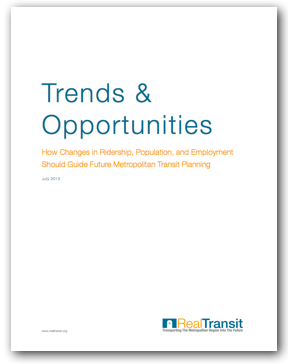 The APTA Report estimates that the ability to relinquish car ownership in favor of transit use can save a household approximately $10,103 per year. Public transportation investment also has the ability to significantly lower safety-related costs associated with automobile travel. For instance, as ridership shifts from single-car to mass-transit use, health, law enforcement, and insurance costs would decline due to the significantly lower accident rates for public transportation modes in comparison to automobiles. These costs would also decline due for those individuals still traveling by automobile due to reductions in congestion and, thus, congestion- related collisions. Finally, the APTA Report also included in its analysis a number of business productivity benefits resulting from increased access to a broader labor market with more reliable employee arrival times, increased business competitiveness, and greater business expansion opportunities. In terms of indirect economic production, APTA concluded that every $1 billion in transportation infrastructure investment results in $2.0 billion in long-term cost savings, which would result in the creation of nearly 29,000 annualized jobs over 20 years. 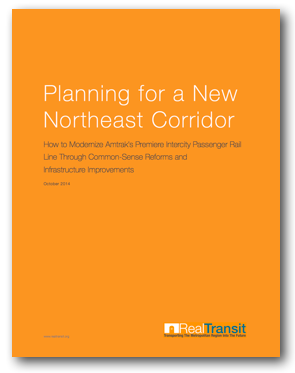 In extrapolating the projections from the APTA Report to the suggested improvements to the Northeast Corridor contained in this proposal, it is important to highlight certain methodology assumptions. For instance, the APTA report based its projections on a presumed national spending mix of 71% operational investments to 29% capital investments, which it calculated would result in the creation of 21,800 jobs. However, using the federal standard accounting system for capital investments, which presumes 64.3 percent going to capital expenses and 35.7 percent going to operating expenses, APTA estimates the creation of 18,900 jobs per $1 billion of federal investment in public transportation projects. As such, for the purposes of estimating the economic impact of the overall plan, a spending mix of 65% for capital expenditures to 35% for operational expenditures was used. This means that for the $68 billion in proposed spending over 25 years, the various public and private operators (including Amtrak) would likely invest $36 billion in total operational expenditures ($1.4 billion in new annualized operational expenditures) over the same period. The APTA Report also presumes a base level of ridership growth of 2.5% to 3.5%, whereas, because of the existing demand and demographics of the Northeast Corridor region, actual ridership growth along the Northeast Corridor is estimated to be much higher. Based on the presumptions put forth in the APTA Report, the suggested improvements to the Northeast Corridor are estimated to result in approximately $90 billion in direct economic benefits including $65 billion in direct wages, which would create over 60,000 annualized jobs. Indirect benefits would amount to approximately $105 billion in long-term cost savings over the length of the project, which would create over 95,000 annualized jobs. 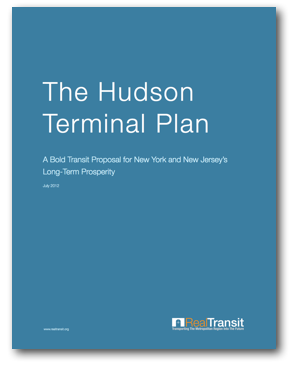 In sum, the combined impact of the overall project would result in close to $200 billion in economic production and the creation of approximately 155,000 annualized jobs within the Northeast Corridor region.